Aluminum Alloy Grades - Characteristics of Aluminum Alloy Grades Dallas, TX | Texas Alloys & Tool Co. Here at Texas Alloys, we offer four different aluminum alloys to include: 6061, 6063, 3003 and 5052. 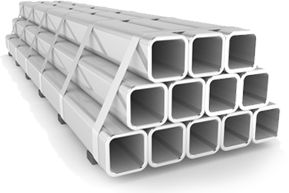 Choosing which aluminum alloy grade to use for your application isn't that easy if you aren't familiar with the different properties. Let us help you find which grade is best for you - feel free to take a look at the chart below that explains what the main differences between the grades are. If you are still unsure as to which aluminum alloy to go with, please contact us here. Our knowledgeable staff is always happy to help. Applied to applications in the following industries: aerospace, electrical, industrials, transportation, etc. Typically used in architectural applications, such as door and window frames, roofing, etc. Used in applications such as: kitchenware, tanks, sheet metal work, ducting, etc. Used for appliances, fencing, tubing, etc.